Joel Nägerl studied physics and mathematics at the University of Gottingen and physics at the University of California, San Diego. He graduated with a master’s in physics and received his PhD in natural sciences, working in the field of semiconductor optics. During his university studies, Dr Nägerl received a scholarship from the German National Foundation, which sponsors the highly gifted. 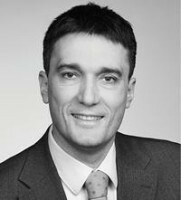 In his career as a patent attorney, Dr Nägerl worked at firms Bardehle (Dusseldorf) and KNH (Dusseldorf and Munich), before becoming a partner at Zimmermann & Partner (Munich). Dr Nägerl specialises in the areas of electrical engineering, telecommunications and semiconductor technology. His main practice area is patent litigation, where he advises and represents large multinational companies in numerous high-profile international disputes before forums such as the Federal Patent Court, the Federal Court of Justice, the European Patent Office, the German Patent and Trademark Office, district courts and the higher regional courts. Due to his profound technical expertise and keen legal sense, Dr Nägerl’s counselling services are in great demand for the development of technical offensive and defensive strategies – both in Germany and in the context of foreign litigation proceedings. Dr Nägerl also serves as an appointed court expert at the Dusseldorf Higher Regional Court. Dr Nägerl is co-author of the book Patent Law – A handbook (CH Beck – Hart – Nomos).